I got banned for crashing creative and making swastikas, even though swastikas aren't a nazi symbol if they're not on an angle, I even explained this. As for the crashing i was trying to make and underwater base/submarine and i tried filling it up with water and it broke I'M JUST A POOR BOY FROM A POOR FAMILY Plus i brought about 9 people to the server who most of which ended up staying to rank up to royal, And i played for 3 years and donated I REST MY CASE UNLESS I NEED TO BRING UP MORE INFO ON BEHALF OF MY CASE. I had given you many warnings, tempmute and tempbans before I issued the permanent ban. I did tell you I would issue out a permanent ban if it continued. When you started creating swastikas they were upsetting players online which was why I asked you not to continue building them. I used a warning. Then you started saying inappropriate language in chat and I had to temp mute. Later, I check the plot to see you then built an impropriate statue of the male private part and I issue a further tempban. The next day I login I find you had used world edit to turn the entire plot into TNT so it crashes the server. I gave you enough chances to redeem your self. Recently it seems you've been spamming using the Web Map and logging in with alt accounts to do the same. 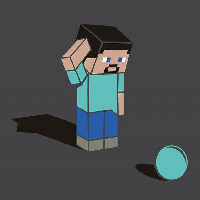 I'm grateful for all the work you've done to the server however strict rules keep minecraft players young and old safe from seeing things they don't want to when playing Minecraft. You did spam on the web. We told you many times to stop using the web because you where banned from the server. Well in the first place why use worldedit if you DO NOT know how to use it. trust me that why MOST servers only give it to ' Staff ' so that this problem doesn't happen but you could of ask many people and they might help you.